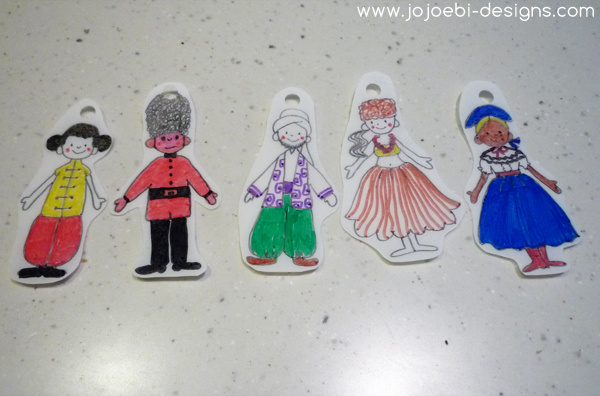 At the weekend I decided to clear out a couple of my crafty drawers and in doing so I found some shrinky dink plastic. Ebi-kun and I decided to have a play with it, I'm not sure what he did with his so I haven't been able to take any photos - he used a Lego book to trace his pictures. I used a Japanese drawing book, I'm not so good at drawing people. 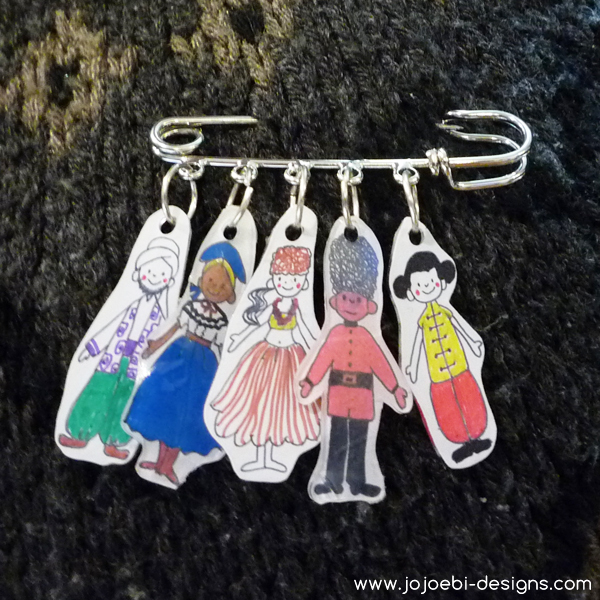 When I made them I didn't have a clear plan on what to do with them but then I remembered I had this little pin thing. It is good to be crafty again.